4.5/5 I've read and dropped LMS, Ark, and Zhan Long. I decided that I didn't like the genre, and that I wouldn't ever read an mmorpg novel again. Luckily after reading every decent chinese and korean action novel available, I still picked this up. I can only say that so far this beats the other vrmmo novels hands down. It's a gary stu story, but I happen to really like gary stu stories if they are done well and not too cliche. There really isn't any part that is lacking in... more>> this novel; I just give it half a star less because I'm not very into mmorpg games. But, as a competitive fps player I can still relate to a lot of the novel. A good read, a really good read. It's the story of the best player of Glory, a fantasy MMO PvP oriented game, who is fired from his team (or club here) and forced to retire, because he didn't want to be involved in business. The MC, with nothing else since the club kept his 10 year old account, decide to start anew in a freshly opened server to regain what he just lost. There's no VR here, no martial skill transposed from real (or past) life, no tremendous luck, no stat/skill table... more>> full of numbers. It's just plain old writing that actually lets you follow what's happening, skill (with a normal computer), 10 years of experience and knowledge from the MC that let him find solutions to each issue encountered. And that's what makes it so good. The story is a little on the slow side, but I didn't mind at all, the world building is pretty nice and the characters are enjoyable. Yes, enjoyable. Every named side characters have their own personality, motivations and purpose (they aren't just here to mindlessly feed the MC). The interactions between the characters, in real life or in game, are interesting and make the novel believable. There are funny situations as well, from time to time, and they don't feel forced which is nice. A really good VR novel. IMO, its even better than LMS. The MC is really calm and smart. He really resembles the old sages showing maturity. Whenever somebody challenges him. He reacts in the most optimal way. Characters have their own personality. Everybody can think and its not an MC living in a 1D world scene. Theres a bit of political interactions, love, underdogs rising and of course conning the hell out of people. All in all, the most satisfying read ive had in quite some time. A must read if you'd like to experience the journey of the top-tiered "Glory" player Ye Xiu. After machinations of his previous pro-level team, he "retired" from the pro-gaming scene. His goal is to get back at the top -this time with his own created team. What makes the story great is that it's not about some Virtual -reality game, where the character gets a cheat and makes an op progress. Here everyone is on a level-playing field and each can reach the top if he has what it takes. Time,... more>> mentality and other stuff affect the MC and everyone else as well. Anyway it's about a PC -MMORPG style game, the one you play with mouse and keyboard. Handspeed, macros, eye to hand reaction speed everything that is present in modern pro-gaming. The fights are written in a way that makes you think that the author is a genius with such imagination and able to put it into words. Some have mentioned that their ability to think up that (such as game mechanics, skills, balance...) have really left them impressed and I am one of those people as well. Only reading about this may seem boring to you, but each character has their own distinct personality and they evolve as the story goes on. Add in the fun and comic relief moments which are expressed naturally and will make you crack a big laugh everytime there is one. Personal story of the MC takes quite a bit of time to be revealed. At the time of writing this review it finally we readers got to know all about it. Not saying that we weren't teased with what happened, but yeah thats that. For romance lovers, at chapter 408, there isn't much going on actively. Probably will stay that way until the end with ambigious romance. Not saying a good story must always have a romance, but this story wich focuses on RL stuff, gaming and evolving the unique side characters is certainly missing an active romance element. I am sure it would have made the story even more famous if, because those who are not interested in game novels would be pulled in the fantastic reading experience I currently have with this novel. This one is a hidden gem. It is one of the best gaming novels I have ever read and by gaming I mean pure gaming mouse and keyboard gaming not VR. The MC is likable as well as other character so if you like MMO go for it. A shounen e-sports novel with no depth. The MC is the best player in the game, don't expect any setbacks. You will pretty much follow the life of a no lifer. Besides that the author forces him into playing the strongest class of the game the "undecided" (able to use the basic skills of all classes). Why? Because he created a op weapon with a friend at the age of ~15-17? Seems legit, I also created crazy op stuff at that age for a game I didn't play too much and other people have entire teams to research those. Another ridiculous thing is, even though he has this play style he only uses a small pool of skills. Only once in a life time, at some random events he pulls the deus ex machina card, Look at this skill I use for the first time to get out of this specific situation! The mechanics and depth of the novel are even worse. It seems like the author had the glorious idea, while beeing drunk, to mix moba with mmorpg but declined to use VR. The result? A game (first-person) in which the described mechanics and controls are impossible to achieve through mouse and keyboard (still used it). But at least every few chapters you will get the APM of the players thrown at you, which doesn't make any sense nor legitimize it. The skillsystem had potential but the author ignored it. The majority seems like to use cookie cutter builds (never stated) and the only "undecided" never mentions how much he upgraded his learned skills. Comedy - I don't usually choose to read novels for this genre alone but this genre in this novel is a great plus! Game - although I would rather play the game than read about it in a novel, this plot is well written. This is now one of my favourite novels. I can't help but laugh at the dialogues and interactions of the characters. The author has done an excellent job in writing action and comedy. I mainly came to read this for action but I appreciate its humour much more! This is like One Piece or One Punch Man in a sense. Aside from him, I also appreciate how all characters are unique. The character development of the people surrounding Ye Xiu - even those who are his enemies - is worthy to be admired. The pacing is also not rushed nor dragged. The author has done an excellent job in not making the novel boring nor making it feel rushed. thank you, translators, for translating this great novel! A few confusing lines- that's to be expected for a story written in an omniscient POV. A few times, the reader will be confused who 'he' or 'him' or 'they' meant even with the context, but one can just ignore such details. A few loopholes - this is understandable though. As a writer myself, I could understand how the author can forget little details. 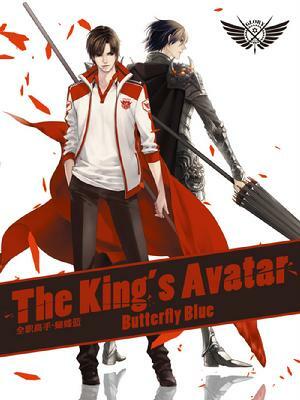 After the mania withdrawal had finally subsided resulted from binge watching/reading Mo Dao Zu Shi, I decided to watch this what I consider "the second donghua (anime) " of my entire life a few months ago (yeah, that's already 'last year' >.<) —The King's Avatar. I found the story unexpectedly enjoyable, so after reaching the end of the ONA series, I jumped to the novel version right away. And boy, it was sooo good. And though I haven't finished reading it yet, I think reading about more than 1000+ chapters is... more>> enough to pass a solid judgment of 5/5 to this one. This is the story of a god... I mean, "god" when it comes to gaming, specifically to the game called "Glory". And yes, this novel is categorized under "Sports" genre, but not your usual sports since the story revolves around pro-gaming. There's no transmigration or whatsoever vibes on this one since here, we are following the "journey" of the protagonist—in reality— towards the "summit". Since this is about game, there are tons of terms here which some may find unfamiliar or completely have no idea at all, which can lead to lots of confusion or difficulty in visualizing what is happening unless you are a gamer, or at least have played MMORPG games and the like before. It is truly a shame to skip, or worst, drop reading this novel entirely just because of this very reason. Though it looks like it would take you forever to finish reading this due to the number of chapters, each chapter is really not that long. Promise. And before you know it, you have already completed a couple of chapters and already hooked, and won't be able to stop. Its pacing is just right. There's no heavy drama or too complicated turn of events—except for the seemingly unexpected and unthinkable outcomes you will see along the way due to the "shamelessness" and very cunning way of thinking of the MC. Ye Xiu a.k.a Ye Qiu. Yes, God Ye Xiu. He's the one! This MC is so cunning. A genius! I'm a sucker for "from bottom-to-top" type of stories so I got hooked in an instant. But this is not like your typical shounen-ish kind of story since the MC is already an adult, plus he is actually strong. As in really strong from the start. An "OP", if that is the best way to describe him. But he got it all from years of experience, passion, dedication, and maybe inner talent. It's not his fault. What's interesting about him is how he handle his "banishment" coolly, with no resentment of any sort at all, and instead focus his all attention to his goal. Though hurt, he chose not to show it, moved on, and passionately heads towards his goal. Surprisingly or unsurprisingly, he's got a carefree and easy-going attitude, but when it comes to playing, he's so cool, so badass! All his opponents are coughing blood! As for the side characters, though inevitably quite too many, I got no problem distinguishing who is who since most are well defined and the author did a good job putting unique personalities for each major casts. Most are likeable and very adorable (*cough* Blue River). I really enjoyed reading this one. You can feel your adrenaline rush soaring just by reading it. The characters' shamelessness, the hilarious trash-talks, the battle of wits... totally worth-reading! I understand that this type of genre is probably not for everyone (.. maybe I should thank myself for playing Ragnarok before XD), but if you want to witness a different kind of "coolness", try this one. First and foremost, we are dealing with an op character (in video game) with plenty of details for each of his fight. The story follows the fall and subsequent rise of the top player in a popular game. It is action driven with some subtle romance sprinkled on top. The character developments are good, but the world building, especially the video game aspect, seems a bit limiting. After the first few matches, it feels like you have seen it all.... more>> There are not many skills to choose from in such a popular game, even after the later expansion. I've only read about 70 chapters so far but there are a few things I need to say. I mean, seriously. For the love of god. Did this author every play a game? Or a mmo for that matter? The mmo in this novel is supposed to be one that could exist even today. It is not a VRMMORPG or anything like that, just a mmo you play with a mouse and a keyboard. But the author generally assume that the player has a level of control over his character as... more>> if it was virtual reality. And god, the game is so incredibly boring it wouldn't survive one year if it got out in 2018, so hard to swallow it's the most popular game ever in the novel. Ok, let's get over that. What about the story? Well, so far... It's incredibly repetitive and mindless. Also, there is no goal at all. I mean, in this kind of novel, the protagonist generally go from weak to strong. But it feels meaningless here. The protagonist had already been at the very peak, praised as the Battle God. The premise is basically that he loses his account and that he has to start over but it hardly matter. He still has his skills as the Battle God and, the game being extremely dependant on the actual skill of the player, he only needs to create a new account and get it to level max. Which obviously means lots of mindless grinding. And that's what most of the 70 chapters I've been reading have been about. Not very interesting to be honest. And even if you anticipate the day he once again is truly strong... So what? He is already at retirement age (as far as pro gamers go according to the novel) so rather than waste time playing game, maybe he should have taken it as an opportunity to think what to do with his life. Because spending 100% of your time not sleeping playing a game is not exactly living. To be honest, I heard this was really good, but I just couldn't get into it. It feels too soft for me, and it didn't really have really interesting action. But I gave it four stars because it was really well written, and the strategies weren't bs. The character is also thought out and mature, and doesn't hold grudges easily. I'm not sure why people rate this 5 stars, say it's perfect, then admit there are faults. If there are faults, then it shouldn't be rated 5 stars as a perfect product, right? This novel is sometimes slow and sometimes average at best. One problem this novel has is that there are too many names, be they minor one-off characters or long term. This does reflect real pro esports though, as there are many players in one league, so the best solution is just to remember whatever you can and ignore... more>> the rest, since they're mostly cannon fodder for the main character. How should I describe this? It's like a shounen fight manga, but interesting? Unlike some other mmorpg webnovels like vrmmo ones that set rules then subtly introduce a super special thing that breaks the rules or completely makes them pointless, this series sets rules and then follows and expands upon them. Instead of the MC winning by simple luck or boring hard work he actually thinks about and plans things out. And he isn't op in the brute force or omniscient sense, though he does certainly know the ins and outs... more>> of the game. He is op in the sense that his character is adaptable allowing for his character to do what most could not. But that doesn't mean he can simply solo everything. Not bad. A bit entertaining. Somehow comedic. Sometimes boring. It maybe because I cannot immerse my self inside the story. Unlime so e titles that you will forget you are reading, and instead you feel like you are witnessing everything with your own eyes at a real time rate. I can proudly say that this is my favorite novel. It is well written though some would say that it's draggy but I don't see it that way. What I like about this is the character development of everyone not just the MC's. Give it a chance and you won't be disappointed. Probably the greatest game novel of all time. LMS is good but too much of the novel is about Weed's shenanigans. Everyone else plays second fiddle. With this novel characters are everything. It feels real. The banter between everyone is just so~ good. If you play games seriously and understand the grind then you should like this. The King's Avatar is, without contest, in my top 5 novels, not only now, but since the beginning. There's little contest on this genre, to be fair. One of the most funny and awesome MC's at the moment, has great developments, the author knows how to properly set up goals and use adequate plot for each new arc, and the other characters are richly thought through and constantly used. All the professional gamer alliance, teams, team members are really interesting, there's depth to every personal relationship the MC has and not only... more>> that, but the frequency of new characters being introduced is fairly high, but they're generally so cool that it's not so hard to keep track of all of them. I just don't like the fact that their team name is HAPPY of all things (as of yet), but that's just a name after all. Let me preface this review by stating it might be rather long. This novel definitely has issues. I think the largest issue is the story's pace. We get chapters after chapter of grinding, which gets really repetitive. To be fair, they are playing a MMORPG and anyone who has actually played one can tell you that grinding is a huge part of them. In fact many MMORPGs only really start when you reach max level and start participating in raids and PVP. However reading about the process gets dull quickly. The game Glory is a unholy mess of MMORPG, Fighting and FPS genres. While it sounds amazing on paper, trying to create it would be an unholy mess. The game itself is played in a first person view (think Elder Scrolls or FPS) with both melee (Sword, Spear, etc.) and ranged classes (Mages & Gunners). The characters gain experience by fighting monsters, running raids and completing quests. They level up and gain skill points they spend in Class specific skill trees. They gain equipment through crafting or grinding to improve their characters. The fighting is similar to Street Fighter and other fighting games, with characters blocking and finding opportunities to chain attacks into combos, quick recoveries and various other fighting game specific traits. In one scene a relatively new player beats a pro player because she has much greater APM. Actions per Minute (APM) is only useful in very specific games mainly RTS. High APM is needed because the players have to control their economy (base, expansion, production) and large armies at the same time. In Glory the player is controlling a single character and thus APM should have a hard limit. Characters take time to execute actions and even with animation cancelling, your character can only preform so many actions in a given amount of time. What makes this novel amazing is its characters. The King's Avatar has a huge cast of characters and the interactions between them is always top notch. Characters have individual personalities and motivations, which makes them more relatable. Our protagonist Ye Xiu is a pro player that has essentially been kicked off his team and wants to return to the pro scene. He might be overpowered but unlike many other protagonists its been justified well. He's not a nobody that suddenly powers up and becomes invincible. He's been a pro player since the scene started (8 seasons) and his team won the first three championship titles. In fact his age is a large factor and realistically he only has a few years left before he's too old. Most of the players from his generation have retired or are on the decline and he just wants to remain pro as long as possible. One thing I really like is how he was kicked off the team. Everybody was acting somewhat realistically and in line with their personalities. This wasn't a best friend stabbing another in the back out of nowhere and the other swearing revenge. Ye Xiu managed to alienate most of his team and their management. His refusal to show his face on camera limited his marketing value. Office politics happened and he was kicked from the team, after they acquired another good player. I definitely can see this scenario happening in real life.